"Travel invigorates and enlightens, and so does reading. You don't have to go to the Congo to gain an understanding of the challenges women face there. You don't have to go to Costa Rica to learn about resentment toward fly-by evangelism. You don't have to go to Iran to sample Persian culture and anguish. 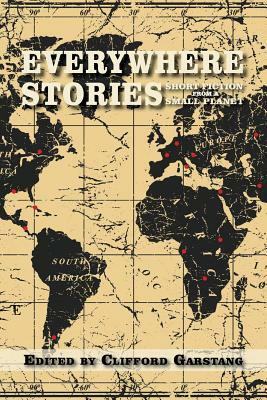 When it's done right-as the stories in this anthology are-fiction can transport you and show you the essential details, the soul of a place. A fiction writer is like an archaeologist in that way, digging, brushing away what doesn't belong and revealing what a casual observer-a tourist-might miss. Read the book. Explore the globe. But remember, it's a dangerous world." -from the Introduction, by Clifford Garstang, editor.